Today is Rakhi Purnima. Though it happens to be the birthday of Lord Balabhadra, the elder brother of Lord Krishna, it is more known for Raksha bandhan. On this day every sister ties a ‘Rakhi’ on the wrist of her brother, feeds sweet and in return gets a gift from the loving and caring brother. 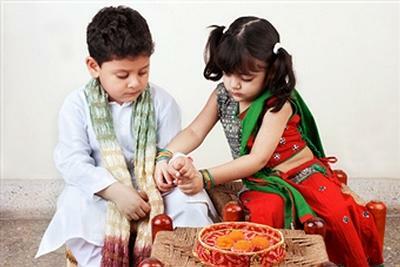 The ‘Rakhi’ is the symbolic for brother’s protection to the sister. A very thoughtful concept handed down from generation to generation in Indian society. It has more relevance today than ever before where young girls are being harassed hitherto unknown before. The number of street Romeos has gone up manyfold. At work places, in schools and colleges, during travels in trains and buses and public parks the girls are being harassed and heckled. Even the boys (From Nehru Yuba Kendra) in a recent delegation to China were found to misbehave with Chinese girls and then with their co-delegates from India. That was shameful, but for obvious reasons the authorities did not (or couldn’t) take any action against these young culprits. With this backdrop the role of brothers to protect their sisters has become more important. There is a move to teach the boys at each home how to behave well with the girls. That is to say ‘Charity begins at home’, and what else would be better than the celebration of ‘Rakshabandhan’. I would like to stress that girls at home are treasures for all – parents and siblings, brothers specially. Girls make the home lively. They are bundles of amusement, they can make fun of all and get away with. Their mischiefs, jokes as well as advice are most welcome. They patch up broken relations, if any, between brothers and their spouses, between brothers and their girlfriends and dilute arguments even between parents. Girls, tender and kind as they are, are good emissaries for all difficult situations! Instead of buying three tickets for a film, she will buy two to put her brother with his girlfriend and vanish somewhere else with a cold drink or a packet of popcorn. Who would not love these happy souls? Men in society need to be more proactive and courageous to save the girls, treat them well, fight for their honour so as to build a good society. This is what the festival ‘Rakshabandhan’ teach all of us. Sweet of you, Rupradha to read this article and like it. Love. very nice & well composed KumarJi!! Happy Raksha Bandhan to you too! !